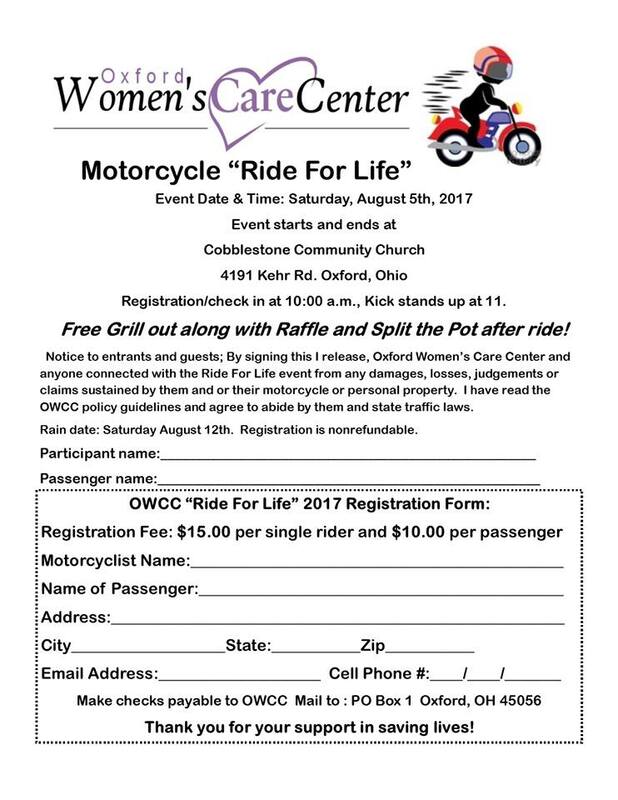 Come support the Oxford Women’s Care Center in a Motorcycle Tour of the Covered Bridges of Preble County and Oxford Ohio. Pre-register before or walk in register the day of the event. Registration begins at 10 am and the ride starts at 11. The ride begins and ends at Cobblestone Community Church in Oxford, Ohio (4191 Kehr Rd.) There will be a cook-out meal and raffles following the event.